Pat Ponticelli is a 61-year-old retired registered dietitian living in Massachusetts and George “GJ” Gerner is a 30-year-old man living in New York and working in accounting. 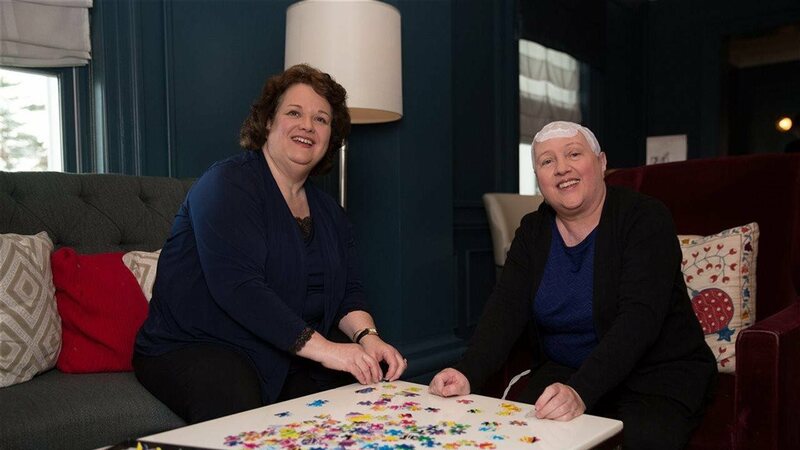 While their circumstances are very different, they both are facing glioblastoma (GBM), a rare and aggressive type of brain cancer. Both GJ and Pat decided to use Optune, an FDA-approved treatment, as one of their tools in their fight against GBM. Optune is a portable device worn by patients that interferes with cancer cell division. A large clinical study showed that adding Optune to the chemotherapy temozolomide provided the greatest opportunity to live longer and maintain quality of life compared to chemotherapy alone.